Type your Expeditors tracking number below, get live delivery information with our express tracking system. Expeditors is a global logistics company headquartered in Seattle, Washington. As a Fortune 500 company, we employ over 13,000 trained professionals in a worldwide network of over 250 locations across six continents. Expeditors satisfies the increasingly sophisticated needs of international trade through customized solutions and seamless, integrated information systems. Our services include air and ocean freight consolidation and forwarding, vendor consolidation, customs clearance, cargo insurance, distribution and other value added logistics services. If you have problem with our express tracking system, please track your package directly on the Expeditors website. If you get no tracking information from Expeditors official website, you’d better contact them. If you have shipped through Expeditors, you will have received a copy of your Waybill. Each waybill has a distinct number which can has 10 digits(eg: 4052011397, 1100956442). 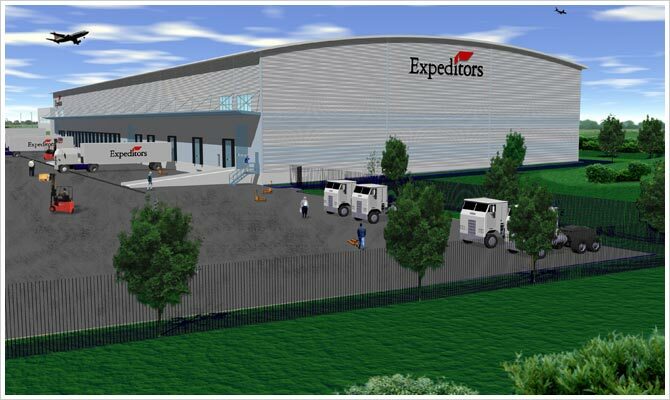 A picture of expeditors logistics outside. Have no idea about Expeditors? Read Expeditors reviews in advance and write a review after sending your package with Expeditors. If you have problem with our Expeditors Tracking system, submit your problem here, we will help you as soon as possible. Declare: We can NOT contact carrier or others on your behalf, we can only help you track your package with your Expeditors tracking number on official tracking system.